Hello! Nice to see you here! We hope you are just as happy being here. You are one of the first partners invited to take a look at our new platform Shopware Playground and even more excitingly, try it out directly! Keep in mind not to get too upset, if not everything is running smoothly from the beginning or if you miss one or the other feature. We are still in development! However, we just can't wait to share with you what drives us daily. Because we are a 100% sure of one thing: With Shopware Playground you get a solid tech preview that will give you more than just an impression of what we have in stock at Shopware and where we are headed in the future. And of course we have ulterior motives. Because actually we would also like your feedback! So, if you notice anything strange, write us. If you don't like a particular thing, tell us. If you find something that works particularly well, don't hesitate and tell all your friends and we would like to here from you either. 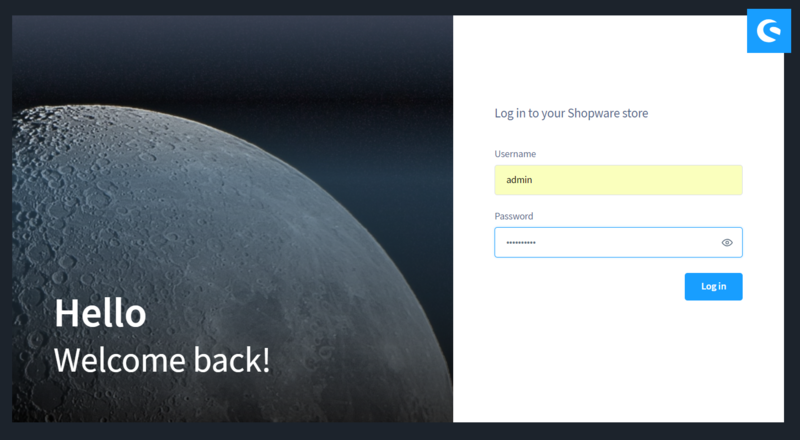 You will find a feedback button in the Shopware Playground dashboard. Of course we'll accompany you while taking your first steps on our Shopware Playground. Just follow this wiki. It has articles and help on all the features of Shopware Playground available so far. So why waste more time? 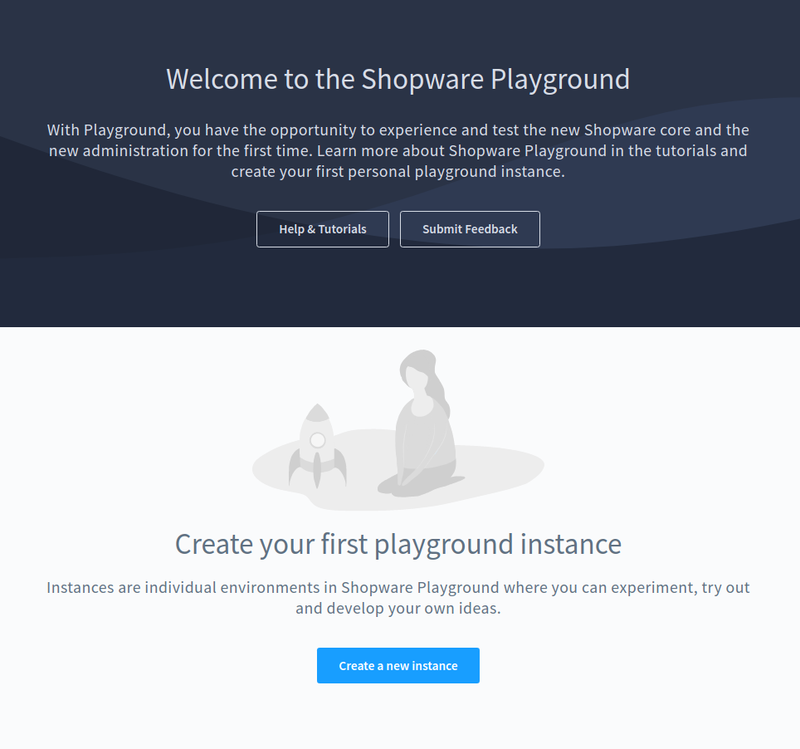 First we should set up a Shopware Playground instance for you. You'll see, that is not difficult, but the process will require some preparations. 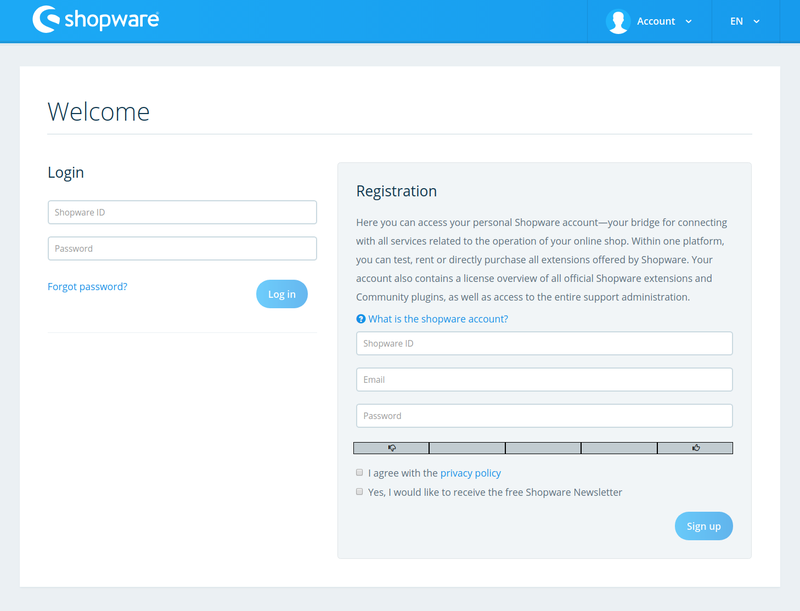 To create the Shopware account, fill in the required fields (Shopware ID, email address and password) in the > Registration section. However, the Shopware ID you have chosen must not have been assigned yet. Otherwise the registration will fail. In this case try again with a different ID. By clicking on > Register you send off the data and your Shopware account will be created for you. After registering, you can log in directly with the information you have provided earlier. You will also receive a confirmation email regarding your registration. When logging in for the first time, you should at first complete your profile. 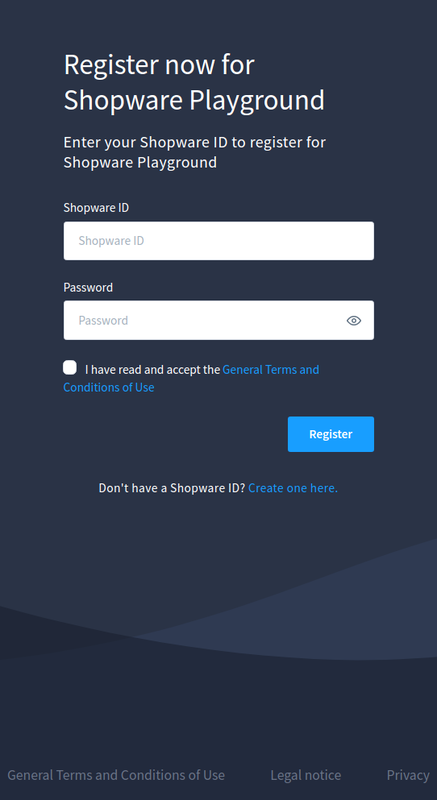 Fill in the required fields and you will have successfully created your own Shopware ID. 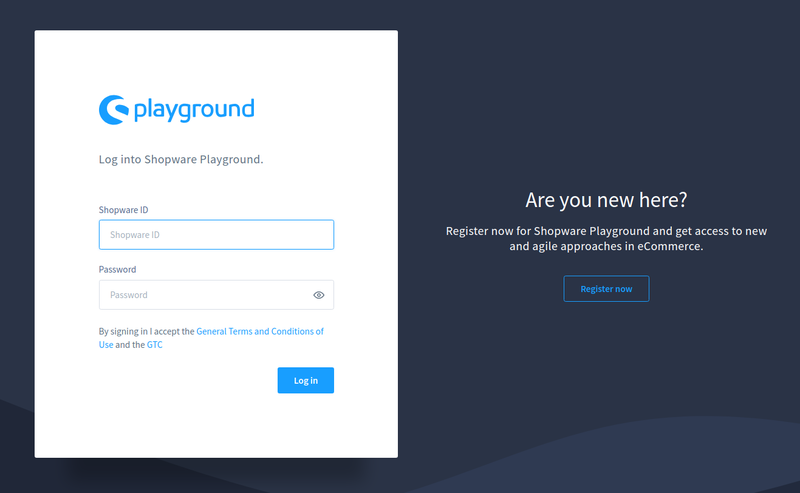 Before you can begin discovering Shopware Playground, you will have to register yourself first. But have in mind, that the registration process might take some time. Reckon with it to take up to a few days time. So watch your email inbox in the next few days, you will be informed by email when everything has gone smoothly and you can start trying out Shopware Playground. Once you've received the mail, you can log into Shopware Playground from the following page. You have successfully completed the registration. Now you only have to create your own Shopware Playground instance. But this is done really fast now. Click on the button > Create new instance. Except for the password, you can review all information later. However, you should save the password immediately, as you will not be able to review it later. You eventually will have to generate a new password from scratch if it gets lost. 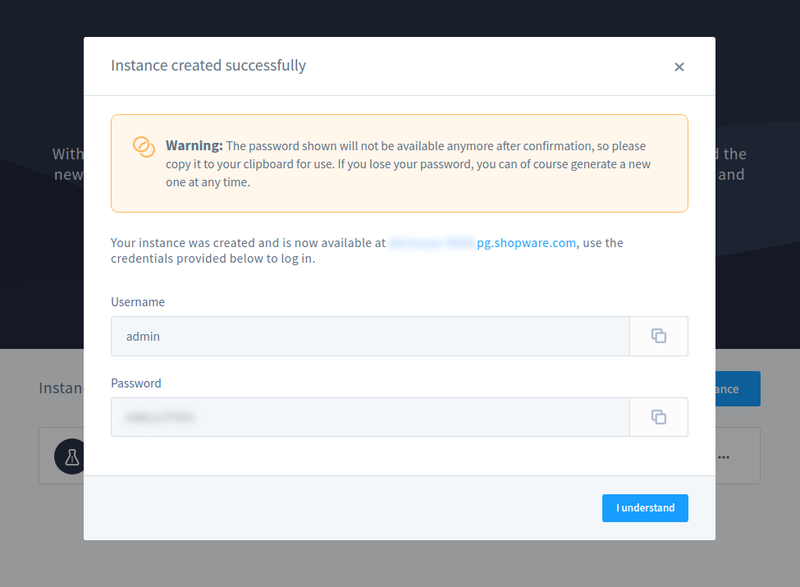 Once your Shopware Playground instance has been created, you can reach it by entering the previously received link in the address bar of your browser, or by following/clicking on the link in the instance list. Almost there! When you see this, all you have to do is enter your login details and you're ready to go. Have fun!